One of the most important functional tasks that an elderly person needs to do is to get safely on and off a chair. 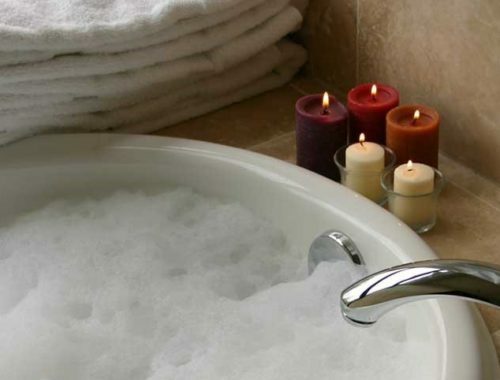 However, for many people this simple task can become increasingly difficult to do as we become older. Without regular exercise we become de-conditioned and less flexible. 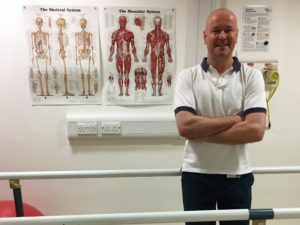 Our joints become stiffer with age, and muscles in our arms and legs become weaker.In addition, our co-ordination and balance changes and simply don’t react as good. Simple chair exercises for the elderly done regularly can make a real difference to both maintaining and improving the way you move and feel. It is important to check the height of the chair your sitting in. 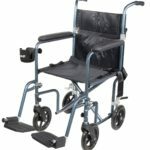 Something as simple as Chair raisers can help by altering the height of the chair, making it easier to get on and off it. However, check the size of the base of the chair first to ensure they fit correctly. 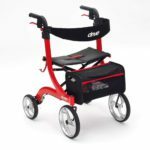 The chair raisers come in many different shapes, colours and sizes, and tend to be either wooden or plastic. The choice is up to you………I know it’s to help a person’s function but sometimes you just want it to match with your existing furniture. 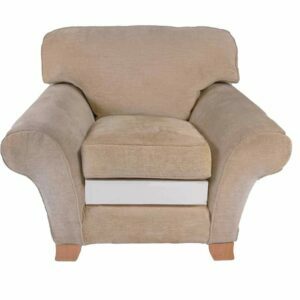 On older types of chairs or sofas the legs of the chair can be too big to fit raisers, and you may need to consider seat raisers. As you can see some fit directly onto the existing cushion, or can be neatly fitted underneath depending on your preference. Okay so you’ve hopefully got the right chair height that is going to help you get on and off it, but before we look at different types of chair exercises we need to consider the best chair to do them in. An upright dining chair or a chair that has a good base and back support is best. I will show you the correct sitting posture to adopt, and how to transfer safely on and off the chair to minimise the risk of falling. What’s the correct posture sitting in a chair ? 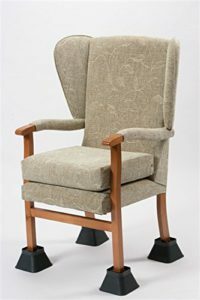 Many patients I have treated often have a favourite chair that they always love to sit in. They have grown to love it over the years, and reluctant to want to change it for something more practical and functional. Lets face it we all have our very own comfortable seat which we always sit in – that low sofa or chair without arms, which we sink into when we sit on it. 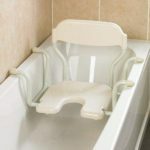 However, many of these types of seats are just not practical for a less able bodied person, or someone at risk of a fall, or further falls to use. 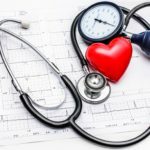 Ideally to get the most out of the following chair exercises you need a chair with a firm seat and back support, the height should be that when you are sat, ideally there should be no less than a 90 degrees angle between your feet and your bottom. Lumbar or back supports on the chair help maintain a correct sitting posture. The Everlasting Comfort 100% Pure Memory Foam Luxury Seat Cushion is ideal to use. It improves a bad posture and relieves leg pain when sitting for long periods. 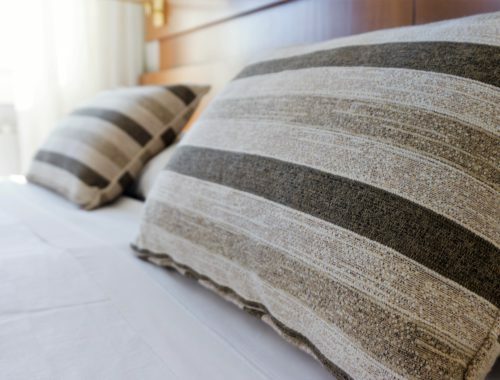 It has a U – shaped ergonomic design recommended by a number of orthopaedic surgeons, and has a memory foam pillow which responds to the heat of your body to mold perfectly to the shape of your bottom. 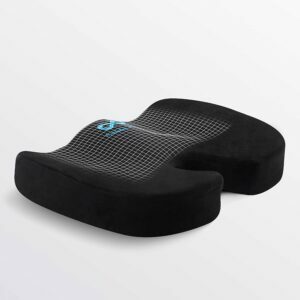 The thick padded foam compresses and cushions just enough to provide you with enough support, yet keeps its shape to support your tailbone, lower back, spine and hips from those severe pressure points. It’s important to use chairs with some fixed arm support which will help you when practicing both standing from a seated position, and from standing to sitting when doing the exercises. First let’s look at the correct and safe technique getting on / off a chair……. 1. Sitting in a chair using the armrests of the chair shuffle your bottom forwards transferring your weight from one side to the other so your are sitting towards the edge of the seat. 2. Your weight should be evenly distributed, with your feet about the same width as your hips. Your heels should be positioned behind your knees. 3. Push down with your arms on the armrests and bring your head and shoulders forwards (think of getting your nose over your toes). 4. Keep your head up and look straight ahead, this will help with your balance and stability. 5. Push down through your legs to straighten using your hands to push also, and stand to an upright position. 1. Before attempting to sit down, position yourself so that you can feel the back of your legs touching the seat. 2. With your weight evenly distributed over both feet, reach for the armrests with both hands. 3. Begin to bend slightly at the hips and knees and tilt forwards at the waist. 4. Using the armrests for hand support slowly lower yourself into the chair. 5. If you need to reposition youself, transfer your weight from side to side so that you are sat with adequate back support in the chair. Every person is different and some will find the above easier than others. To progress the exercise you could use just one hand for support on the armrest, or even none at all. Who are chair exercises for ? In my day to day work dealing with patients I have found that it is best not to overload someone with too many exercises. In my experience people get demotivated when face with too many exercises. I tend to use a few key exercises for each particular area I am working on. Often, I am in close discussions with family members or carers who require information and instruction sheets for themselves, so they require simple clear exercises. The following exercises I use to achieve the best results….. Sit in a chair with your weight evenly distributed, and both feet flat on the floor. Lift both arms directly out in front of you and reach forward as far as possible. behind you over your shoulder. Hold for 3-5 seconds and then return to your starting position. Repeat turning to your left. Relax your shoulders (drop them down and back) – it will feel as if you are pushing your chest out. Push your chest forwards gently and you should feel a stretch across your chest. Hold for 5 seconds and return to your starting position. comfortable. Then try to raise above your head if possible. Try to hold for 5 seconds then slowly lower your arms to the starting position. (this exercise can be made harder by holding a weight in each hand). 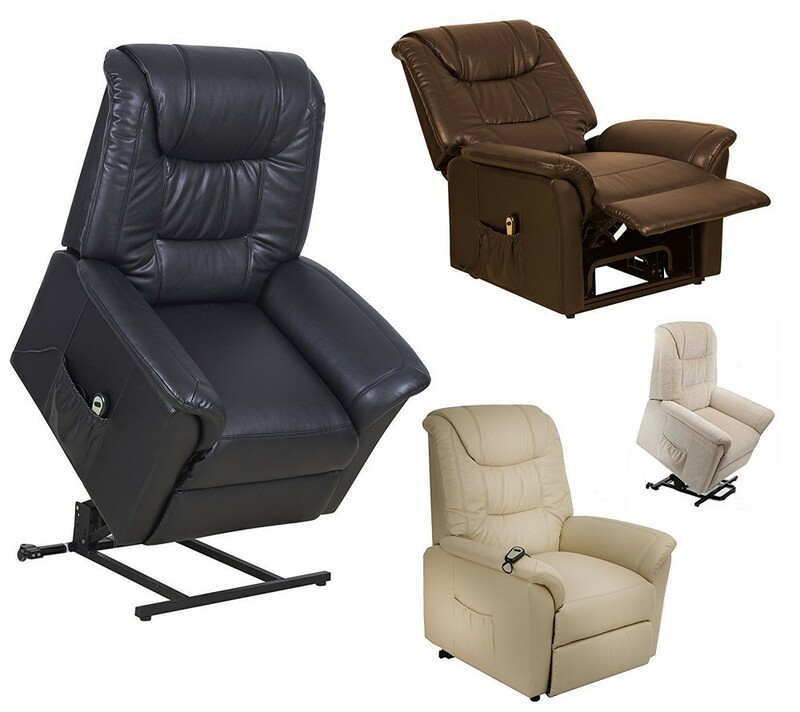 Sit comfortably in the chair and use arm support of the chair if needed. Bring your Left leg out in front of you as though you were straightening your leg. Sit comfortably with your weight evenly distributed and your feet the same width as your hips. Slowly push down through the front of your feet and lift your heels off the ground. Return to starting position. When doing the toe raises this time your heels remain on the floor and your toes lift off the floor. Sit in the chair with your weight evenly distributed, in an upright position with good back support. 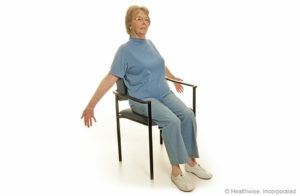 Try to straighten your Left leg (aim to keep the back of your thigh touching the chair). Aim to hold for 5 seconds. Return to starting position and repeat for Right leg. Slowly lift your Left leg as if your knee is going directly upwards. Return to starting position slowly. Repeat exercise with your Right leg. Aim to do the exercises 2-3 times per day where possible ( 5-10 repetitions of each). Remember a little often is better than doing none at all. As with all the exercises it is best to wear comfortable, loose clothing and always ensure you have a drink handy. Always remember to keep your normal breathing cycle going during the exercises – many people hold their breath when they exercise. 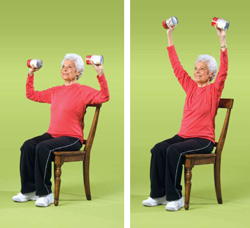 In my work experience these chair exercises for the elderly are effective in helping improve your overall functional movement and strength. 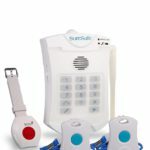 They also will help increase your independence and ability to help manage activities of daily living better. GIVE THEM A TRY and notice the difference today ! This is good information. Too many times we get older and just let our physical health diminish from lack of physical activity. This looks like it is very low impact. I think this is very valuable for our elders. I’m glad you found it helpful. I’ve used the exercises with many people I’ve treated and had good results. Thanks for the chair excersises. My Mom has been using these on occasion and loving them. Very helpful website. Thanks for the feedback – hope you continue to find the website helpful. This is very good information. 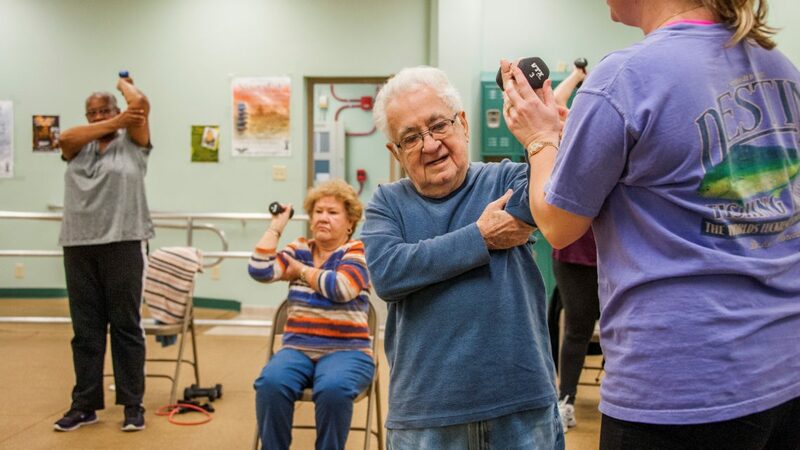 Too many times we get older and let or bodies diminish from lack of physical activity. This will be very helpful for our elderly people. I really liked your post it is very informative and useful at the same time!! 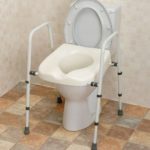 I was searching few days ago such type of techniques and exercises for my mother as; she likes reading and spend majority of her time in reading books on her specific chair. She feels very comfortable with that chair but due to continuously sitting on a chair she feels very tired sometimes. Now I would suggest your recommended exercises and techniques to her. Hope it will work great. Thanks for sharing this informative post. Thanks for the recommendation Sarah – good luck with the exercises, and I hope you find other parts of the website helpful for your mother. Hello Mark, What an important topic! I am so grateful for how thoroughly you wrote this article. I have used some of these exercises myself. And suggested them to others. Many thanks for the lovely comments Ariel. I hope they continue to be helpful for you in the future. What an informative site. Particularly interested in the armchair exercises and how to do them. I will get my 92 year old aunty to do them. Thanks for the feedback Janice.